The 'Russian Roulette' singer was offered $500,000 to perform at the Emirates Palace Hotel in Abu Dhabi. A source told the New York Post newspaper: "She was supposed to perform back in May but she cancelled in the aftermath of the assault. This is a make-up date." While half a million seems like its a lot for us regular folks, its chump change compared to what some other stars have gotten in the past. Back in 2006, George Michael was paid $2.6 million to perform 13 songs at a party for a Russian billionaire. Amy Winehouse was paid $1.6 million to perform for Daria 'Dasha' Zhukova, the girlfriend of Chelsea Football Club owner, billionaire Roman Abramovich. The Rolling Stones were paid around $7.3 million for playing at the 60th birthday bash of billionaire David Bonderman. 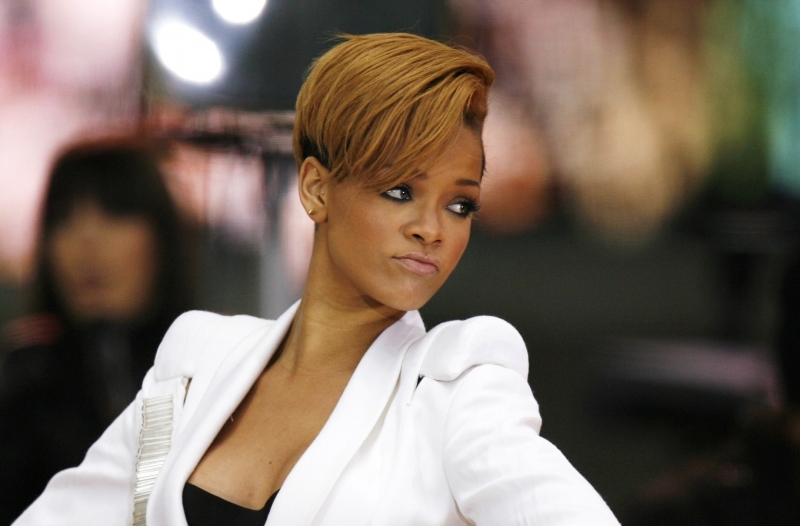 So maybe Rihanna should have sent her people in to renegotiate her fee after she canceled. Half a million for Abu Dhabi is like a latté for celebrities. and I cant even afford Yanela Brooks. It really isn´t such big money, if you compare the other sums.. I quess Rihanna must perform some years more to ask millions.